Inventory We are a resale marketplace, not a box office or venue. Ticket prices may exceed face value. This site is not owned by Concord Pavilion . The Concord Pavilion opened in 1975 as the Concord Pavilion in California. The Sleep Train Pavilion has a seating capacity of 12,500. 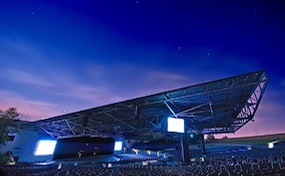 The Concord Pavilion box office plays host to a variety of events including concerts, high school graduations, musicals, and local community events. The biggest story in the Sleep Train Pavilion's history occurred when concert promoter Bill Graham was killed in his helicopter after leaving a Huey Lewis and the News show performed at the venue. His founding company ran all promotions until being bought out by Clear Channel Communications in 2000, which was later, bought by Live Nation.